The last time I did a legit, long marathon training run was late September 2011 and I was 26. 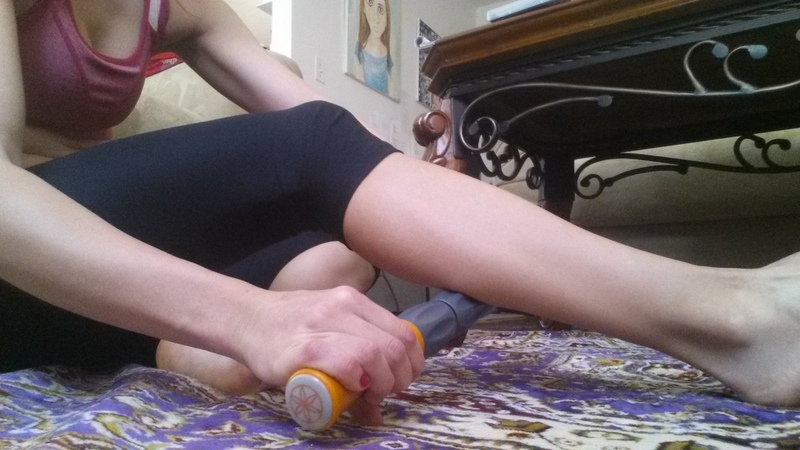 It was 2 weeks out from the Chicago Marathon and my training wasn’t going well. All the “long runs” ended short because I was constantly dealing with knee pain. It didn’t matter how much ice i sat with, how much i stretched, ran on grass or dirt, or slowed down, when I hit any mile # over 8 the knee pain was there making it uncomfortable to continue. In a last ditch effort to get somewhat of a long run in before the big day, i headed out to do “about 15” or something that would give me confidence going into the marathon. The thing was, it worked. I made it through 15. I remember feeling great the whole time, I also remember listening to “Good Day Sunshine” by The Beatles any time i felt tired. I had that burst of runner energy and confidence once i got close to 15–I CAN DO ANYTHING!!! I AM AWESOME! And then a very cold, autumn rain came down, so i called it a decent last run and headed home to begin tapering. We all know how that marathon went, and if you don’t you can read here. It wasn’t great, but i finished it and eventually figured out the injury. Today, with 15 miles on the schedule, I was a little nervous but totally excited! I haven’t done this in such a long time. It took me about 45 minutes to get out of the house. I felt really scattered—i couldn’t make easy decisions! I couldn’t decide what to wear, how many GU’s to bring, NUUN or plain water, sunglasses or hat, tshirt or tank. I did remember to roll out my calves, which were still tight..
And I admired my toes, because I finally painted them…betcha can’t guess which one is the purple toenail. You know you’re a runner when you only wear black, purple or blue polish. Once I finally left on my trek, I was happy, and I easily fell into about 8:35ish/pace. I wanted to stick around 8:30 and once I hit 10 miles, speed up about 15-20 seconds/mile for the last 5. That was the plan. The sidewalk however, thought it would be hilarious to trip me and screw up an almost perfect long run. WIth sunglasses on while running in the shade, I didn’t see the half inch of sidewalk portruding up. The tip of my shoe hit hard and pulled me down fast, smacking my kneecaps on the ground. 100 thoughts sped through my mind in about 45 seconds. Did that really just happen to me? How many people saw it. OHMYGOD I broke my kneecaps! I don’t need knees to run do i??.. i’ll be fine, it happens! Are you gonna cry!? You are NOT going to cry, it’s not a big deal.. great you’re laughing now, you’re officially a crazy person. Sit down and breathe. Hey, it’s not that bad.. it totally looks worse than it is. Oh god it hurts, it hurts, it hurts, and now it’s burning.. A hole? I tore my new favorite capris?? You have GOT to be KIDDING ME!! Okay, big picture, how the hell am i going to make it 6 miles home?? You’re gonna run. That’s what you’re doing today, a LONG run, bashed up knees or not, you’re running. GOOD, cause now i’m PISSED and i’m gonna finish this 15 miles if it’s the last thing my knees do! Once I regained my sanity, I went on to finish my run. I ended up stopping 4-5 times on the way back to check that my knees weren’t swelling or bleeding or broken. My pace did end up a little faster for those last 5 miles and I felt good. I didn’t realize the road rash I got on my hip, or my arm until I got home. When I went down, i rolled a little and got skinned up, but not as bad as I could have been. I’m so happy it wasn’t worse or I didn’t break something, especially that far out from home. Is it me or is it sick that once I was running and the shock of what happened wore off, i thought to myself “well…at least it will make a good blog post” haha. 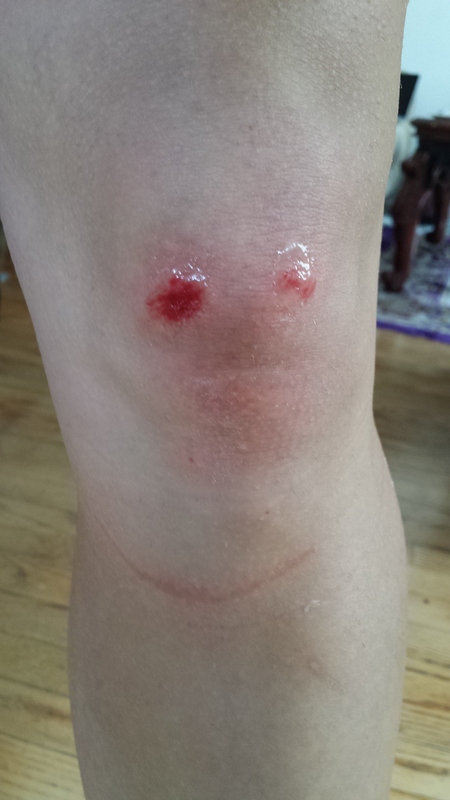 Oh and as i’m laughing about it now, i have a smiley face on my knee! You know the obvious question. Ever fall down? It’s been years since I ate it, and it was no where near as bad as this. Categories: Uncategorized | Tags: long run, runner fall, running injuries | Permalink. Ouch! You can always call me. I’ll come pick you up! Oh no! I was so worried it was something serious when I saw your instagram. I have definitely fallen, I really shouldn’t be allowed to trail run because I trip on roots all the freaking time. 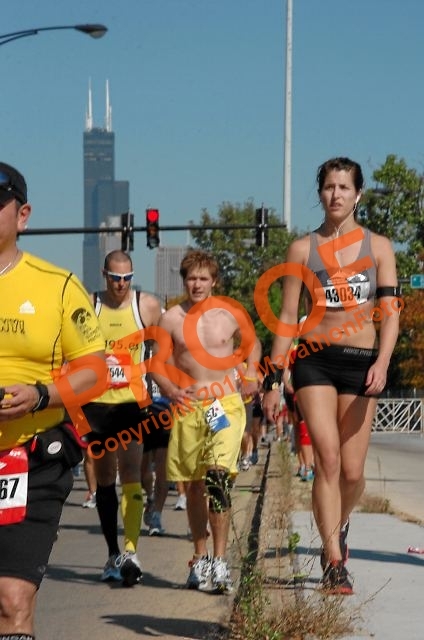 And obviously, the push/fall in my marathon that caused torn knee ligaments wasn’t a highlight either haha. 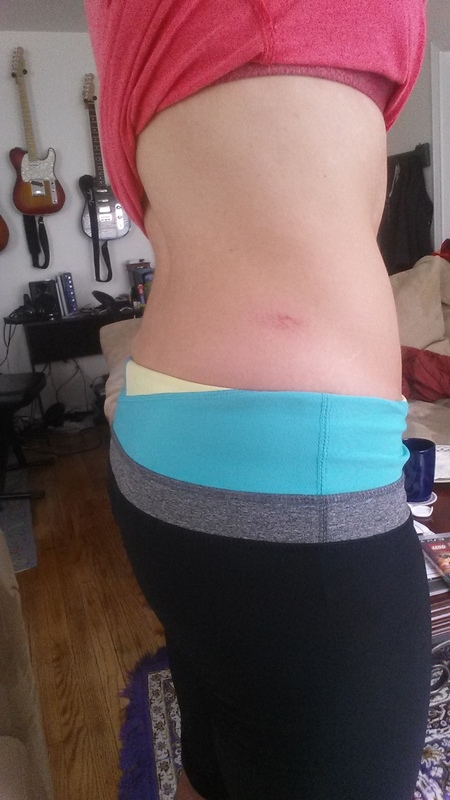 I’m a klutz though, who knows how I make it through 99% of my runs unscathed. Ouch! But at least you kept going! I’ve fallen three times………….this year. Not fun but lucky for me I was wearing full length leggings and gloves. I think the weirdest feeling is falling and asking yourself “Am I falling? Is this happening? How did that happen?” and then “OMG I hope nobody saw that”. Hope you feel better soon! Thanks! Totally the strangest feeling when falling am I fall—yep! Glad you’re ok. It can easily happen – I didn’t realise how bad the pavements were around here until I started running on them! Wow I’m so glad it wasn’t worse! I fell last October, running with my sister. I ended up breaking my finger and scraping up my knees pretty bad. I ran home, but I was only a mile away. Some guy came out of his house and gave me papertowels to wrap up my bleeding knee. 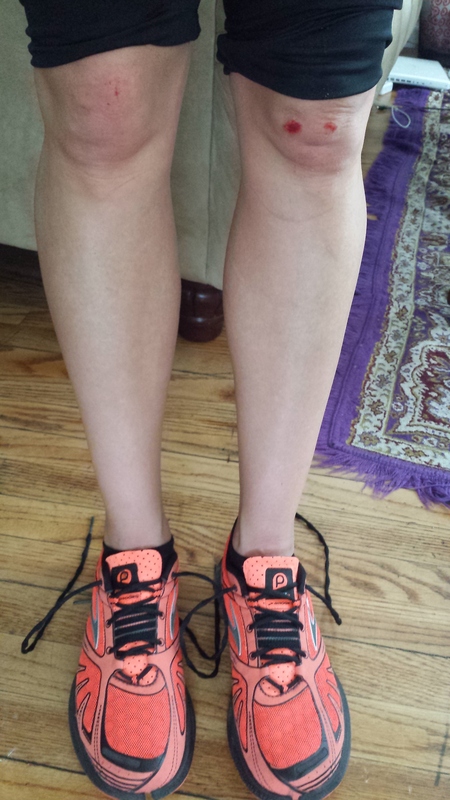 I was able to stick them into my compression socks and run home. Stupid sidewalks, always messing up a good long run! GREAT run despite the wipe out! I’m so sorry that happened and it looks wicked painful. 😦 I hope you are feeling okay today! I’ve fallen twice. Once in a training run and once during a race. The training run fall was worse. It was my first time running 13.1. I hit a piece of sidewalk like you did and went flying. There was that moment after I hit the ground that I laid there thinking I had to have broken something. It was rough. I can’t believe I actually got up and finished it haha. Ohhh no. So sorry! Funny (?) story … last year, I was traveling to Houston for work every week. I had this route that I would run on every morning around 5am, when it was still dark. Well, one time, I COMPLETELY bit it … scraped up my ENTIRE leg, arm, and face (wtf?!). I had to walk into the client with a red, bloody face (even after cleaning) and never lived down that moment. 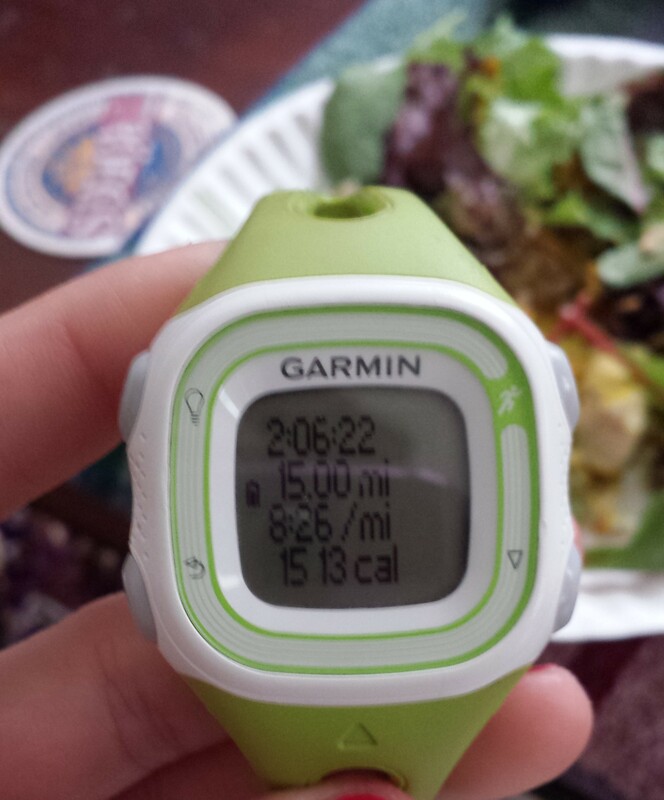 You’re crushing your runs lately – congrats on the 15! oh man, i’m glad i didn’t hit my face.. all my clients were like “what happened did you fall or something”..yeah.. haha. Oh my gosh, this exact same thing happened to me a few weeks ago! I had blood all the way down to my ankle! I have to show you a photo, it was NASTY. Glad you’re ok!!! Poor you. If it interests, the Traumeel ointment is the bEst for bruises and trauma once the skin has healed a bit. For open wounds, calendula will be great. And I would spray colloidal silver when there’s threat of infection. You’re inspirational to push yourself as you do. You can get it at the Target pharmacy, ask them to order if not in stock. Or cheaper online.